Rhinestone will rock Bands on the Beach from 7-9 p.m. on Tuesday, April 9th at the Gulfside Pavilion. 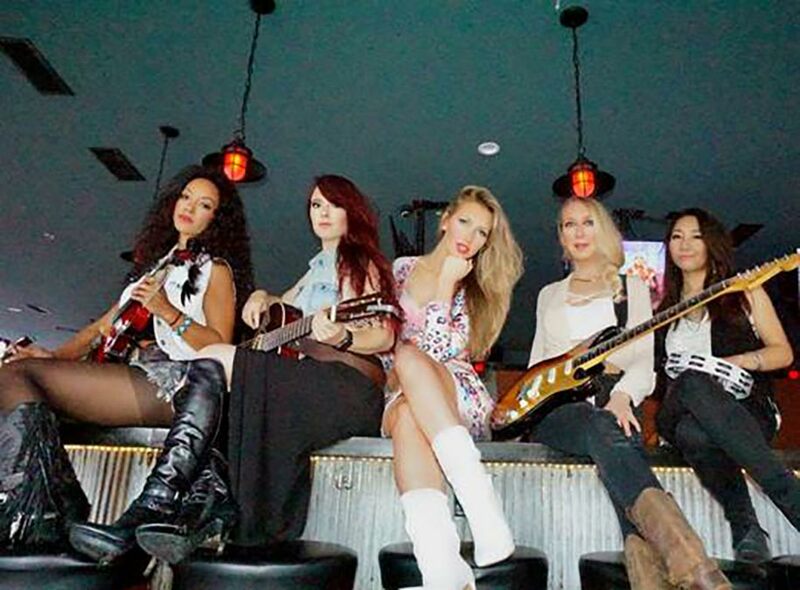 Rhinestone is an all female band composed of Pearl Clarkin who was recently named top 10 unsigned artists in the country by Cumulus Media and Big Machine Label Group in 2018 at the Nash Next finals. She has toured the country headlining and opening up for acts all the way from Charlie Daniels to Michael Ray. Pearl was born and raised on Pensacola Beach in local favorite landmark the spaceship house. Melissa Barrison on fiddle who has played with Rhianna, The Killers and you may have seen her on TV shows including Ellen Degeneres. Beth Garner who has toured as a solo artist and lead guitar player sharing the stage with Brent Mason, KY Headhunters, Doug Supernaw, Ray Wylie Hubbard, Keb Mo, Joe Bonnamassa among others. Liz Hill who is a 2 time top 20 Billboard charting artist and named an Artist To Watch By Billboard. This girl power super group is currently planning a 2019 tour in the US.